- The Hollywood mirror is made of 5mm silver mirror glass, through the grinding edge, process sand refining can effectively prevent the glass black point, greatly improve the service life of the product. - Metal frame, can be made into black and white(Surface wire oxidation treatment, the color can be customized according to customer requirements). - Light Source: 12V energy saving LED bulb. - Optional Functions: Dimmable, Bluetooth. - Switch: Button switch, Touch switch, Dimming switch. - Certificates/Standards: IP20, ETL listed. Standard Export Package(Protective Foam and Carton Box, Wooden rack optional). ETL listed to US and Canadian standards for damp location W/Feed through. 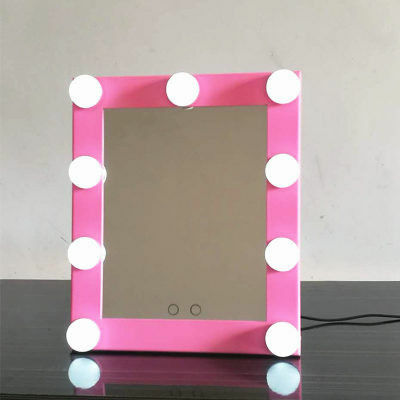 We specialize in the field of cosmetic mirrors, there are table mirror, wall mounted mirror, acrylic mirror, LED mirror and pocket mirror. 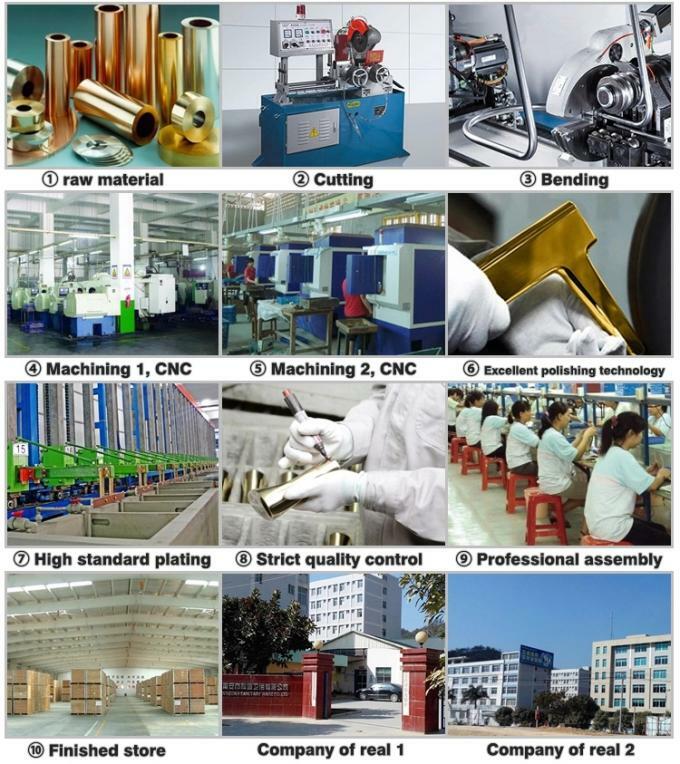 Our factory with strong technical and complete processing equipments: punching machine, drilling machine, trapping machine and so on. 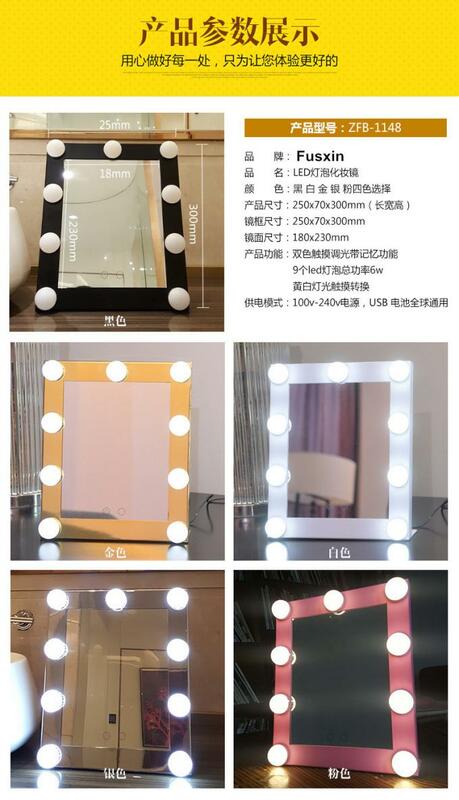 We have our own designer team, more than 600 items design, and parts of mirror design are patented. OEM is welcome. Our QC team carriers out strictest quality control on every order and every product. The product quality can reach the national standard of Europe and America. Products are popular sold to many clients in Europe, America, Japan and so on. Base on “excellent quality, best service”, we pay more attention to innovation of products. We will try our best to supply the premium quality, competitive price and best service to our customers. Warmly welcome all customers visit and negotiate. 1. What certification do you have? Our main market is North America, our products through most of UL, ETL, CE, CQC, DLC, suppliers have passed the ISO 9001 quality system authentication, all products are100% qualified factory test. 2. Are special orders possible, and you produce customer size ? Special orders possible, but only for large volumes order . Minimum order size will vary depending on size , shape. Contact us with your specifications for more detailed information. 3. What about the warranty? What if the LED lights go wrong? We have 3-5 years of warranty for all the products for sale.Should you meet any problem, please contact us directly. We will try our best to solve it. 4. Are all of the items you produce shown on your website ? Most , but not all of our products shown on our website. We are keeping research new products for our customers. 5. Do you have a catalog of all your product ? Yes , we have catalog but not all of our product on it . You can visit our website www.ledwallmirror.com for more product information. Delivery costs are calculated on your total order, and the area we are delivering to. For more detailed information on delivery costs please contact us. 7. What if my products arrives damaged? We take great care in packaging our products to a high standard to ensure their safe arrival. In the unlikely event of a products arriving damaged we will arrange for a free collection and replacement as soon as possible.